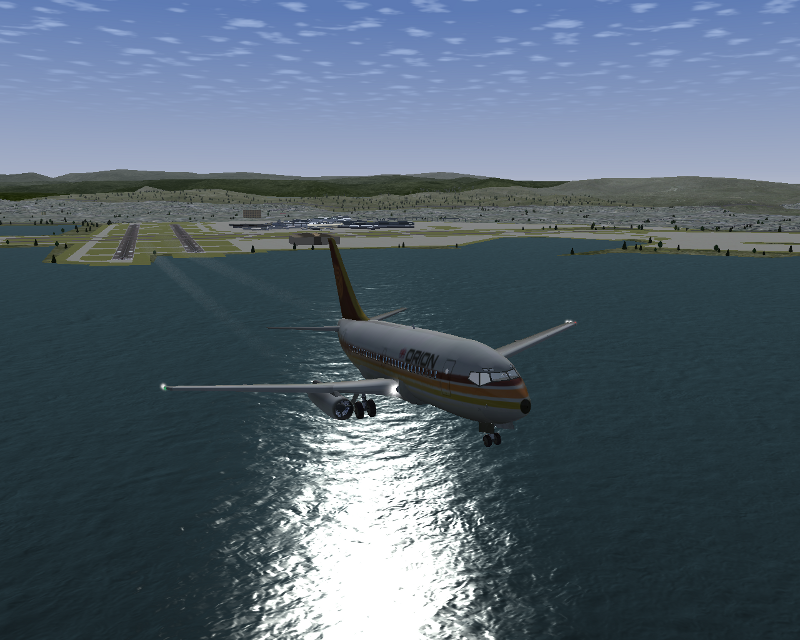 FlightGear Flight simulator is flight simulator developed under GPL licence and for home use you can download it for free, including source codes which you can modify and distribute to other persons. Development begun in 1995 and as usually by chance. During the time it growed up to flight simulator which is real competitor to comercial software. There is lot of volunteers developing core application FlightGear and it's libraries such as SimGear, many other people are creating models (mathematical and/or visual) of various aircrafts or scenery objects. For simulator you can download many models and because everything is open, there is no problem to create your own one however it takes a lot of effort. You can fly at every place on the world, use any of 25716 airfields on all continents. For navigation is defined 26490 beacons placed exactly as in real life with true radio frequencies. Application supports multiplayer mode, you can fly together with other players in the same airspace and if you wish, land on some controlled airport. Voice communication between players is preffered, of course, as well as using real maps. 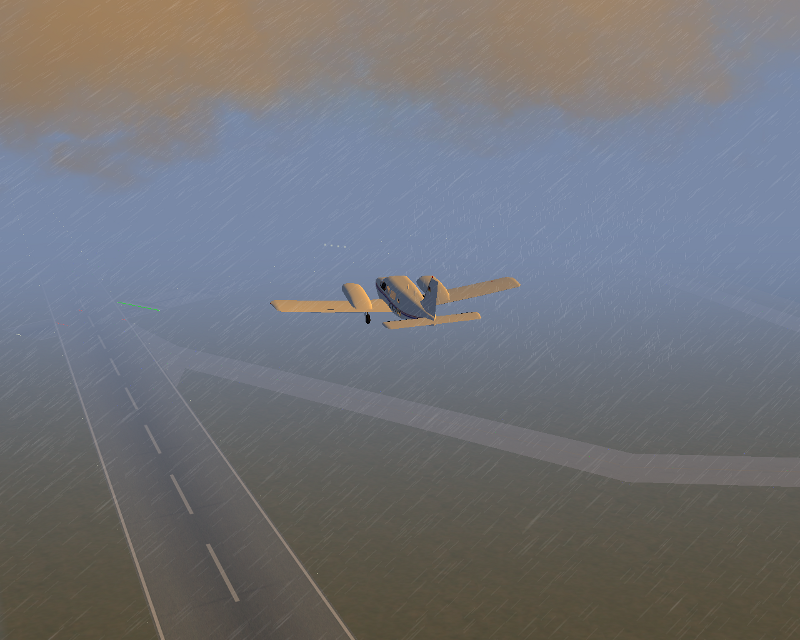 Weather in the simulator is based on actual meteorological reports downloaded from internet in real time and it is very similar to real weather on the spot. 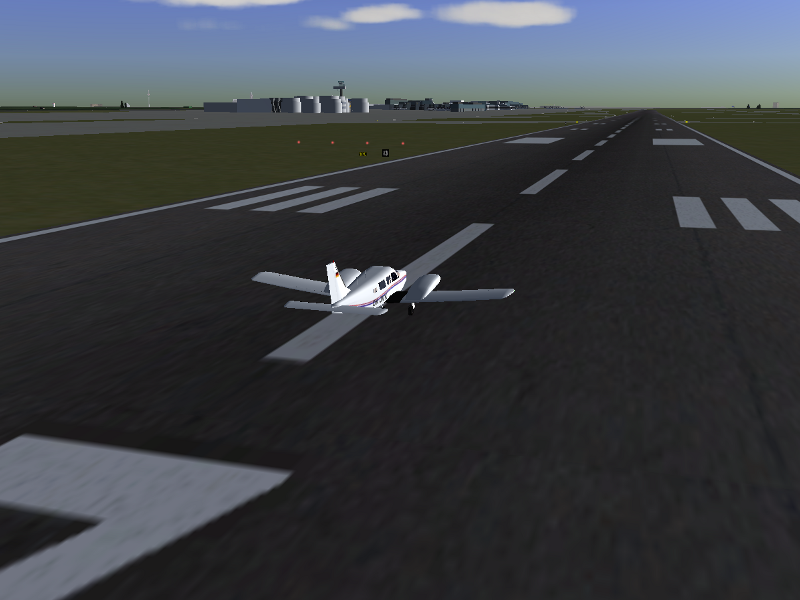 For more pictures and informations see official website www.flightgear.org.